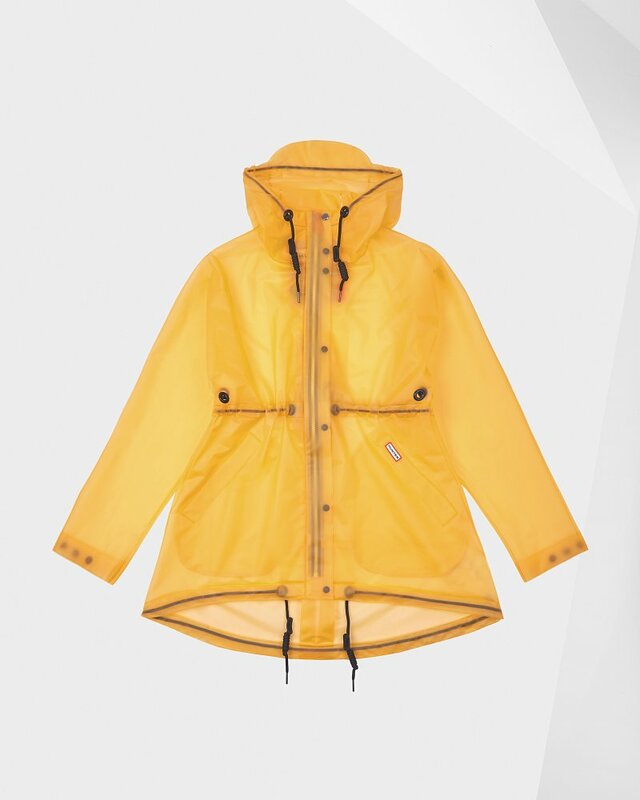 A rain-ready icon, the Original Vinyl Smock in bright yellow is the ultimate waterproof jacket. Crafted from 100% vinyl, welded seams and reverse entry welt pockets ensure superior weather protection. Draw cords at the waist, hood and hem give you full control whatever your wet-weather adventure. 1. Go to https://www.hunterboots.com/intl/en/signin and log into your account or enter your order details under the Guest Customer section.